When will household robots be common? When will 25% of households in highly developed countries have at least one humanoid robot that carries out household tasks? I am interested about when people think it will be that it that it wont be strange to see robots perform household tasks. I'm talking humanoid robots or androids capable of tackling multiple tasks. I chose 25% of households as at this point it wont be uncommon to see them and it's likely only a matter of the price falling that they would be in the majority of households. We have seen countless examples of people in the past grossly misjudging how long it would take for humanoid robots to be common. Often they underestimated the difficulty of creating something that can interact within a complex and stochastic environment. In addition, many home devices have sufficient automation that a humanoid robot may be redundant (coffee machines, automated mower, smart homes etc.). Will there be much demand for humanoid robots within a household setting? What will be their main functions? - household chores, personal trainers, sexual partners, carers, friends etc? Getting to that first 10% took a while, though. The main missing ingredient is the AI. If we had the AI, we could already have home robots; the whole industry would take off very rapidly. These don't yet work robustly enough for a safe home robot; but give it 5 to 10 years of development, and it will be there. The Deep Learning revolution only really took off about 5 years ago -- and just imagine what 5 more years will bring. Meanwhile, battery life will improve, sensors will get cheaper, computing power will continue to improve, China will continue to add to the growing community of research as it invests more in AI, we'll have a lot more data to train models, and there may be further fundamental improvements to the algorithms. Better BCIs, with higher bandwidth and improved signal-to-noise ratio, will push that work a lot further along. Humanoid domestic robots? I can't say when it'll become explicitly common. I'm sure plenty of people in 2004 would've bet a decent sum of money that smartphones wouldn't be common in ten years' time (I'd even wager many people wouldn't believe iPhone X-style smartphones would be common within 50 years). But like smartphones and computers before them, we'll see them enter the home slowly in discrete ways. Full-fledged smartphones have been around since ~1992, but the majority of people in the US didn't have one until about 2012 or 2013. That said, we were already used to several of the features of smartphones by then because cell phones and feature phones eased us into it. Cell phones gradually gained more features as the '90s progressed so that you could actually do more than just talk or send text messages on a cell phone by 1998. Snake, anyone? Feature phones were basically quasi- or pseudo-smartphones. They were PDAs with telephone capabilities. You had full graphic menus (even if the graphics were primitive) and could keep a calendar, set notifications, play video games, even eventually even store ringtones and mp3s. And there was some internet connectivity, but it was extremely rudimentary. On feature phones, you weren't connecting to the World Wide Web, you were connecting to a low-bandwidth imitation of it. Smartphones— as in, handheld computers— were first popular in Japan, but it was still the late '90s and these early popular smartphones would be considered feature phones by today's standards. And the biggest calling card of smartphones today— the touch-screen interface— was actually considered an impractical luxury before the iPhone 2G in 2007. The smartphone as we would recognize it didn't come into existence until then; what existed before then was like the Homo erectus of smartphones. A gradual evolution, featuring subtle increases in abilities over the ages. In retrospect, it seems like there are obviously three different classes— dumbphones, feature phones, and smartphones. But as it was happening, we barely recognized the changes and we made the high end out to be more than what it was at the time. What's more, it's always gonna be Japan who does these things first, but it's usually refined in America. So what does that have to do with domestic robots? Quite a bit if you think about it. Because here's the thing: dumbphones were ubiquitous before feature phones, and feature phones were ubiquitous before smartphones. It wasn't like we were only using Motorolas, then a couple years later, we were only using Nokias and Blackberries, and then a couple years later, the iPhone magically came into existence. Yet we seem to treat the future of home robotics like this, like there will be one major advancement in AI and artificial muscles and then all of a sudden domestic robots are everywhere— before that, however, we only have Roombas. That's just now how it's going to be. Right now, domestic robots are scattered and single-use only, like the aforementioned Roomba. And the only ones that are commercially available that are also humanoid are Aldebaran's machines, NAO and Pepper. I wanted a Pepper robot, but they still don't sell them Stateside and likely never will since the product is seen as being a mismanaged failure. Something practical that people would want, featuring means of motion that people are familiar with. It can't move away from its installed location, and it's still single-purpose, but people understand arms and hands that can help you cook and clean more than they understand a rolling patty vacuum. From there, people will likely want something more mobile. Keep the hands— gripping hands might be the most important factor of all for domestic robotics— and then add some means of locomotion. In the early days, people might be fine with a machine that sticks to a single area. Multi-purpose, but for a cluster of tasks. So a robot that can fetch food, cook said food, set down dishes, and then gather those dishes to wash sounds attractive— I'd pay $5,000 for that. I'd probably pay $10,000 for that. But sooner or later, people are going to want feet. Not wheels or tracks, but actual feet. Wheeled humanoids are good for specific situations, but it doesn't take a rocket scientist to figure out that it will be useless in many homes (especially the homes of those most likely to buy a domestic humanoid). The nemesis of wheeled robots everywhere! Because again, think about it— how many animals evolved wheels? Our world just isn't conducive for wheels unless you can transition between wheels, tracks, and feet. So eventually, bipedal humanoids will arrive. They may be around sooner than we think ($500 Japan has bipedal humanoids in homes by 2025), but it'll take time before they become practical. There'll be locomotive variations— quadrupedal robots are much more stable than bipeds and there'll definitely be those who want octopedal machines— but humans will naturally come around towards those things which resemble us the most. A bipedal robot can go anywhere a human can. So let's say I have a bipedal utility droid sitting on the second floor of my future house and I hand it a garbage bag. It understands that it has to take that bag out to the can in the back yard, so it will go downstairs, then leave the house to navigate across the possibly uneven earthy ground and drop the bag into the can. A quadrupedal robot could do the same, though it would expend more energy due to having more limbs (though it'd need fewer resources dedicated towards balance), and a wheeled robot would probably crash down the stairs. Even if it stabilized going down, it couldn't get back up again without expending way too much energy. If I wanted to have a robot that consumed very little energy and helped myself stay fit, I could possibly keep the robot on the second floor permanently. If I wanted to waste money, I'd get a second wheeled droid for the first floor, but realistically I'd probably just use a Roomba and a Moley if I already had a robot on the second floor. This is also similar to how smartphones developed, actually. Because what's one of the biggest issues smartphone owners deal with? Battery life. Feature phones may have fewer capabilities, but they last for a much longer time. And a dumbphone with a smartphone's battery could stay on for a week before falling to 20% battery life. Having a smartphone is still more convenient than keeping a dumbphone alongside a PDA and iPod (the latter of which technically already has PDA features at that). Likewise, even though an omnipurpose bipedal utility robot will guzzle energy and likely only last 12-24 hours, I'd still rather fork out $20,000 for one of them than even $5,000 for a less capable multi-purpose wheeled robot— if there was an option. When the BlackBerry Pearl was the best you could do in terms of mobile phones, you didn't mind. But once the iPhone was out, it would seem odd why anyone would go back to the Pearl or any previous feature/smartphone. TL;DR the commercialization of domestic robots will likely resemble the commercialization of mobile phone; we've started off with otherwise single-use machines and have only just seen the first generation of humanoid robots. Like how you could only call or text others with early mobile phones, current domestic robots are single-purpose only; current domestic humanoid robots are used for social purposes, with virtually no utility capabilities. In the near future, we'll see multi-purpose robots that can take advantage of greater AI capabilities; soon after, we'll have the omni-purpose bipedal humanoid robots sci-fi promised us. But as to when we'll see them, that really depends. We arguably already have the hardware necessary— if you gave ASIMO a weak-AGI brain, it would be a classic household bot. But the AI software is just nowhere near ready yet, and even if it were, batteries still aren't energy dense enough to power them for practically-useful periods of time. I'm talking humanoid robots or androids capable of tackling multiple tasks. Probably never. I don't see the value in having household robots. Our houses are already full of machines which make life easier, i.e dishwasher, clothes washer. What task would robots do that humans couldn't easily do themselves? ^ You'd be surprised. If the universe and stupidity are the only infinite things, then laziness comes damn close. In the early 1900s, people would've said the same things about said machines. "My woman is already a good dishwasher, clotheswasher, and floorsweeper. We have bugger all reason for such electromechanical contraptions save to enable to idle!" What task would robots do that humans WOULD RATHER NOT DO? Anything that people currently employ cleaners, chefs, groundskeepers, maintenance staff, etc to do. Also, it will happen in waves. The current era of cutesy social robots can be thought of as a taste test, something to prepare us for what comes next. We overestimate the number of people who would actually go out and bring a humanoid into their home if one were available. 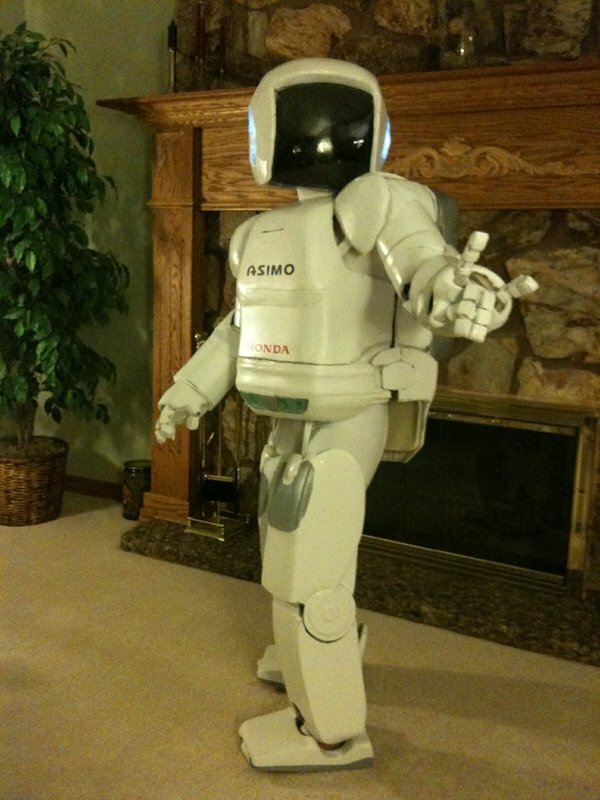 It sounds cool in science fiction, but if, say, ASIMO were available for purchase right now for $9,999, how many people do you think would not buy it because they don't want to be spied on, or because they think it'll make them or their families too lazy, or because they're scared it'll kill them? The robots we have now will gradually ease them into accepting it. Partially because people with these robots will naturally want something better. When we don't have something, we overanalyze it while fantasizing about having it. But when we actually get it, we soon find its limits and then want something with expanded limits. Something better, something faster, something more dexterous. And we'll get it, slowly, incrementally. See: smartphones. If you told people in 2007 that Steve Jobs' new microcomputer that was connected to the internet would record things they say, scan their faces, monitor their browsing habits to force ads into their faces, and know where they are at all times even if they turned such a feature off, they'd sooner try blowing it up than flock out to get it. But we were gradually introduced to it all over a decade and came to accept the good with the bad. Well. Most of these technologies are dependent on image recognition. If you are not aware, image recognition is a really hard problem. I mean REALLY REALLY hard. So hard that for the most part current algorithms excel only in highly controlled environments on problems with a high tolerance for error. The problem is that the world is a messy place and it doesn't always have any tolerance for error (like driving a car). The most commercially successful products of image recognition to date are still the bar-code reader and probably the zip-code reader. That is a ways away from a robot being able to identify the pancake mix and syrup reliably and then carrying out the extremely complicated task of making a pancake (perhaps made easier by a built-in pancake maker). I don't want to give a time, but I wouldn't hold your breath for it. I am currently taking a class from one of the worlds top researchers in computer vision, and even he is pretty pessimistic about current stuff, but he is optimistic about the progress being made. A lot of the cool things that you sometimes hear about out there... well they just don't perform as well as you might think. They get some nice press and all, but the performance is just not good enough. Berkeley did make a robot that folds laundry. It takes a long time and only works in a very controlled setting, but at least that is progress. I would say that a set of problems that fall under the category "computer vision" (scene understanding, object recognition and detection, etc.) are hard, not-completely-solved problems; and then there is another set of hard problems that fall under the category "robot planning", that is slowing down robotics. I foresee a lot of progress in the coming years by training robots in virtual environments. When you see the progress, it will look like household robotics must be near, because the virtual robots will be able to do so many things, very smoothly. But this is deceptive. It's a lot harder to get this to work in the real world, and will require a very large effort over many years to make it a reality -- just like for driverless cars. An alternative path would be to train robot AI systems using brain data. This can be likened to a new type of "programming": people would wear a BCI, and then through feedback, learn to control a robot just with their mind. As they think and guide a robot to perform many tasks, their brain responses will be recorded. These responses can later be used to train a system with machine learning, to perform those same tasks, but without the human controller -- the controller will be a biomimetic, abstract "brain". It will be limited to a few things, like motor control, planning, scene understanding, and maybe a little cognition. This might be enough, though, to reliably control home robots in a wide array of tasks. Here, the main slowdowns will be: waiting for the BCIs to arrive; acquiring training data (will take a couple hundred hours from a single individual, probably); and then thoroughly testing it, to make sure it doesn't "go off the rails" and, for example, do something violent. Sometimes, people have fleeting violent thoughts, and you wouldn't want your robot controller to also have them, and then not filter them out. So... the training robots in virtual environments route will probably take something like 10+ to maybe 15+ years to produce very high-performing robots at the stage where they are deployed in homes in large numbers, and that can make you a simple meal, clean the floors (and put things away), take out the trash, dust and straighten tables and bookcases; but not necessarily make the bed or do laundry + hang clothes in the closet. The biomimetic route could happen a lot quicker, perhaps 7+ years away (maybe even 5+ years; hard to estimate) -- say, 1 to 3 years for the BCIs to become available to researchers; another 2 years to acquire the data; maybe 2 years to thoroughly test; and then maybe another year or two to cover unforeseen delays. This would be a research robot, that could be productized, but may require a lengthy approval process and additional testing. If it can do "few things, like motor control, planning, scene understanding, and maybe a little cognition" better then the sim-to-real robots , based on BCI , why stop there and not get the whole capability ? BCI is how neurologist study all brain capabilities , no ? 1. The more brain systems involved, the more training data you will need from a single individual. You could use multiple individuals, and will need some way to stitch it together -- there are ways to do this. 2. But the main reason is that I think it will be hard to get the system to be stable, the more systems you involve. There is good evidence that basic motor sequence execution and maybe planning can be imitated; and there is also evidence that visual processing can be learned from brain data. There is some evidence that some aspects of higher cognition can be imitated. But I worry that combining too many of these together would work in a stable fashion. I think the best way to build a robot with brain data would be to use learned brain motor sequences for moving robot arms gracefully when given a high-level command, along with a critic model similar to what I've described before. The robot would be split into an "actor" and a "critic". The actor would be built with the brain motor sequencing, along with several other modules (for things like localization and mapping); the critic would also be built from brain data. The critic would be trained by having people observe robots while recording their brain; then, you train a model to imitate that, given video input. Something like a "error related potential" for "robot error" could be inferred from this synthetic brain critic -- basically, if the artificial brain notices the robot about to make an error, it produces a signal to inform the rest of the system. The critic could also be used to train a robot model; and then, once trained, it wouldn't need the critic. I predict that robots will start appearing in a non-trivial number of private households (mostly in rich countries) in the 2030s. Since your question is about when the robots will be "common," which I take to mean "available to average people," my answer is that won't happen until the 2040s. House robots will not necessarily be humanoid. They could be roughly the same weight and volume as a human, but they might have very different body layouts, like four legs and a tentacle coming out of the middle of its back. To train the systems that can be imitated stably , and for research build on that. And for a useful robot , to build a minder on top of the stable systems from all the brain data cririsim. Which reminds me of Julian Jaynes The Origin of Consciousness in the Breakdown of the Bicameral Mind. Some don't even need legs, of course. But let's think about why people would get domestic robots, especially when AI might not yet be up to snuff. For people like me, it's entirely for the novelty of it. 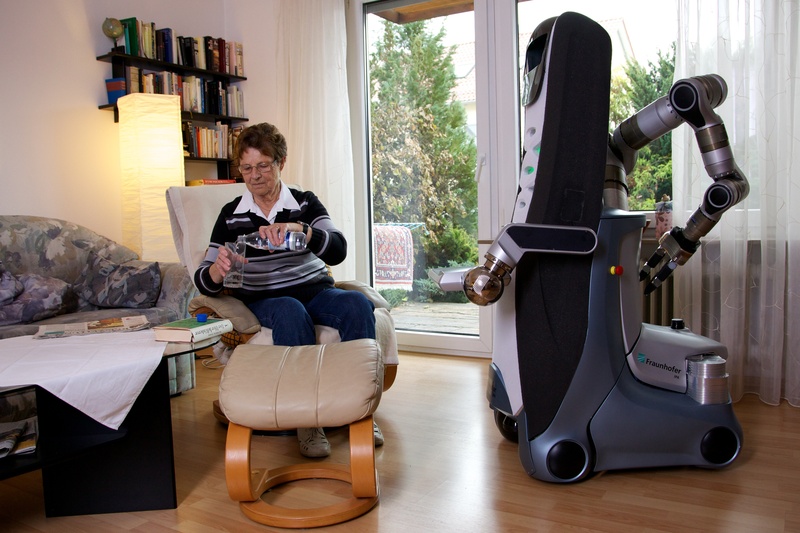 However, the first wave of general-purpose domestic robots will likely be brought into the home of the elderly, especially in places like Japan where there are far fewer young & youthful caretakers and immigrants. Japan is almost certainly going to try to adopt these machines as early as the 2020s precisely for that reason, and the West will follow over a decade later. Let's not forget Japan's "2030 Problem". Since they aren't opening up their borders and their birthrates aren't rising, they'll have no choice but to advance domestic robotics. 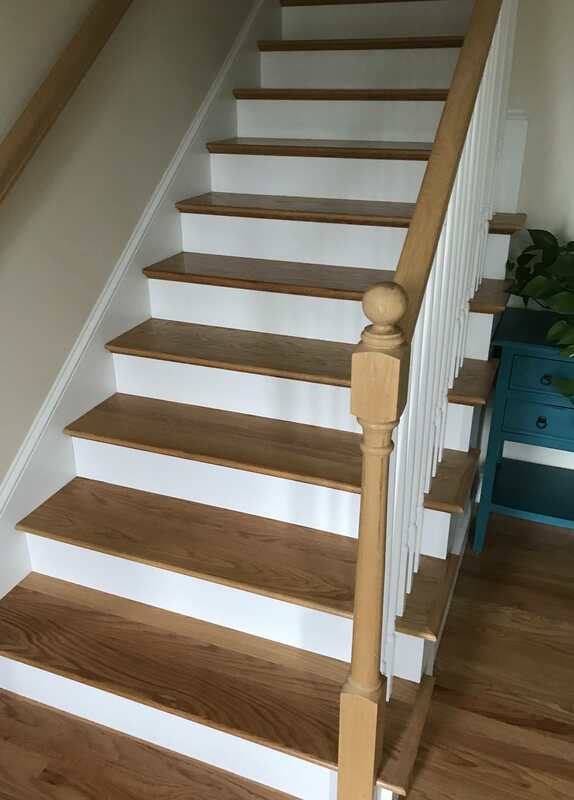 Legs are very important because they would allow a robot to climb steps, and most people have steps inside or directly outside of their houses. Many believe that machine learning — not extravagant new devices — will be the key to developing robotics for manufacturing, warehouse automation, transportation and many other tasks. That's obvious, but not a widely-appreciated fact: we've already got the hardware. We've even got the hardware almost in the range that most people can afford. What we don't have is the software -- that's what the most important part of the development will be about in the coming years. The distance between where we are now and where we will be in the future with home robots is 95% about developing smarter ML algorithms, and 5% about better hardware. Yes, yes, yes, yes, yes. I've been saying this for years. I've even said this as recently as yesterday. You see, we could have had utility and service robots 20 years ago when Honda unveiled ASIMO. We have general-purpose robots. It's not 20 years beyond us or anything. It's just we don't have the right algorithms to run them, sort of like making cars without inventing the engine. Or to put it even more succinctly: we have the bodies but not the brains.